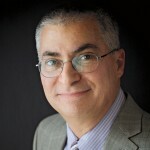 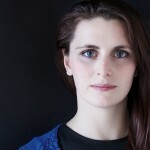 N. B. 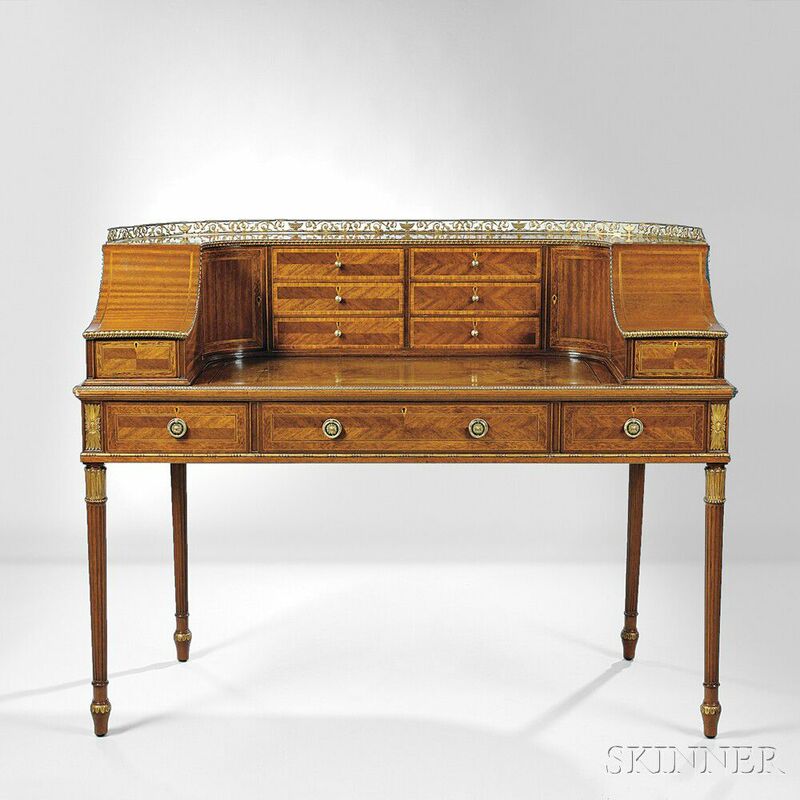 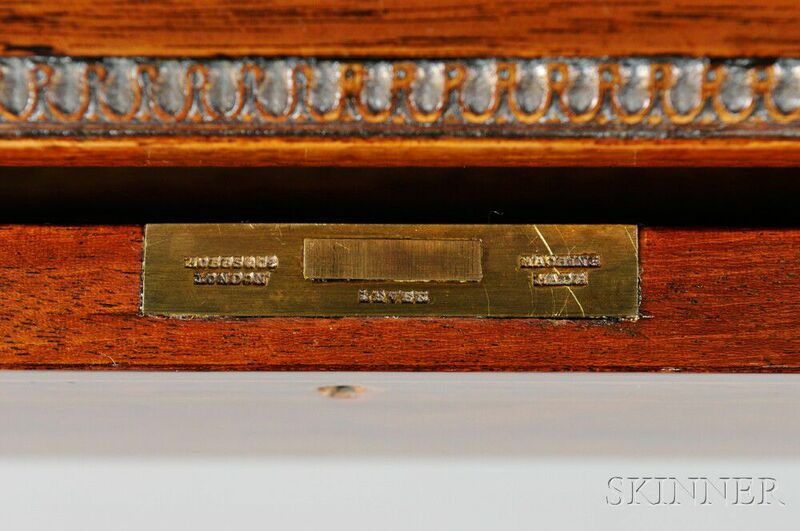 This form originated in 1790 when cabinetmaker John Kerr supplied a desk of similar nature to the Prince of Wales for Carlton House. 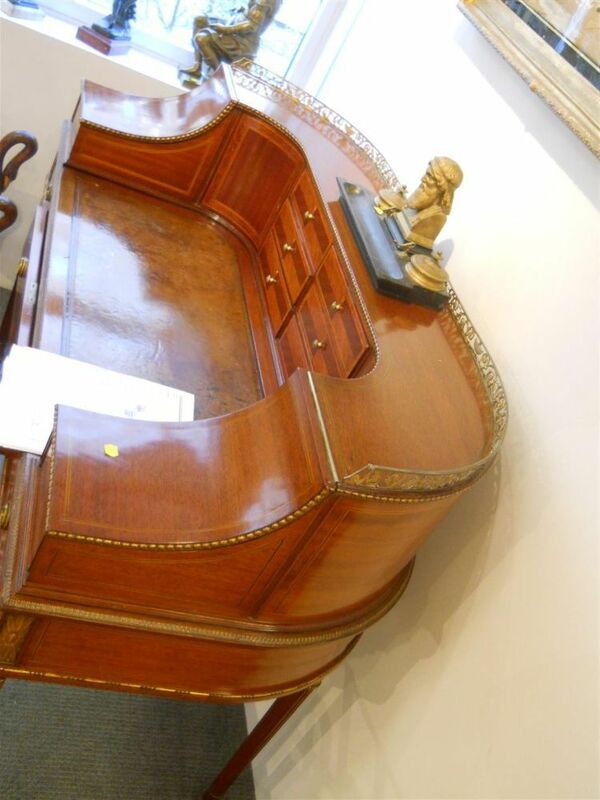 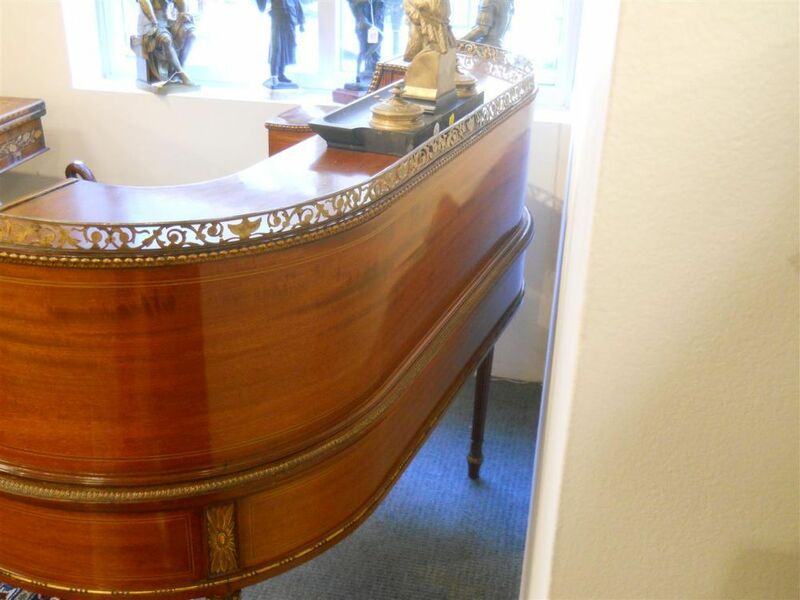 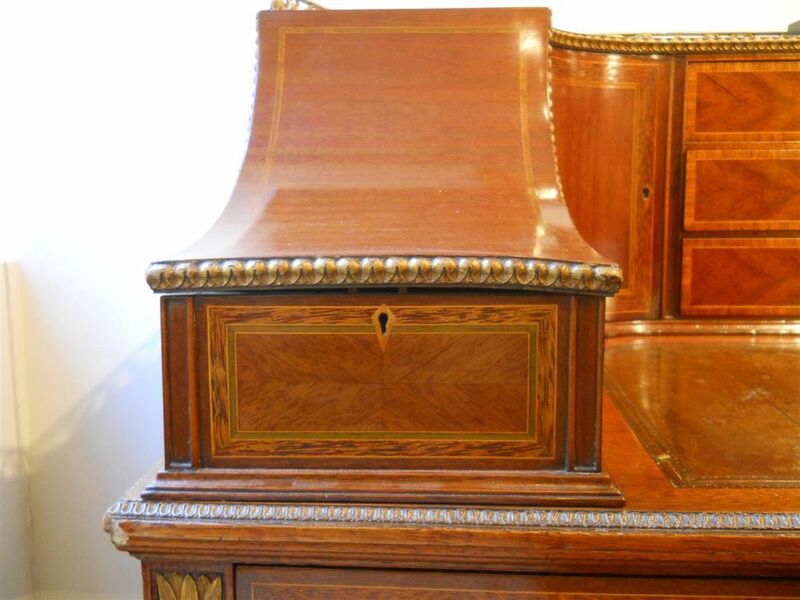 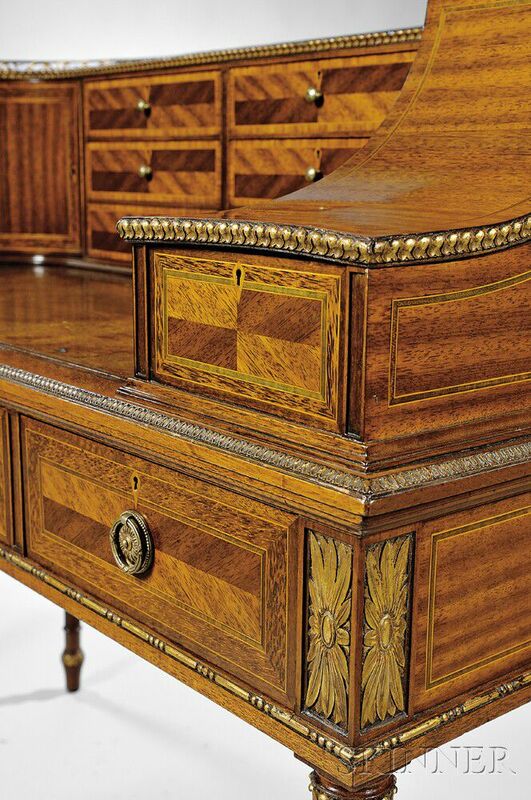 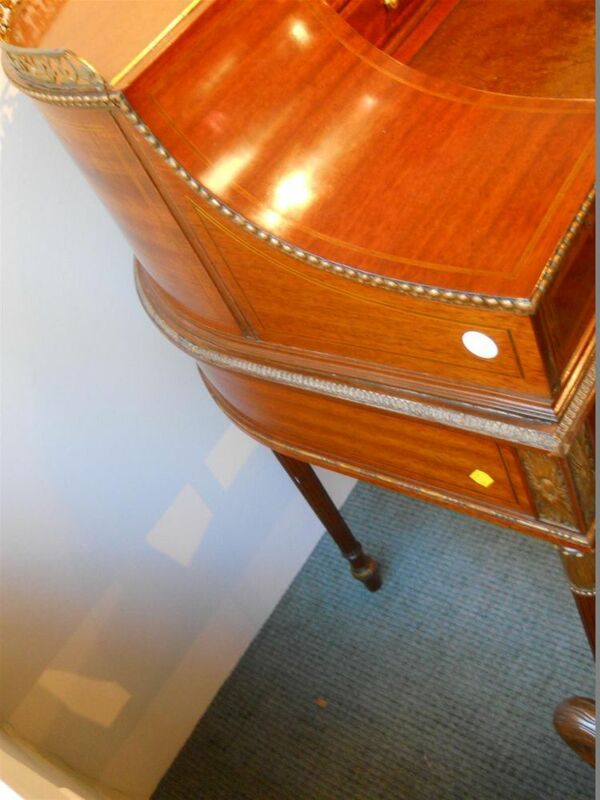 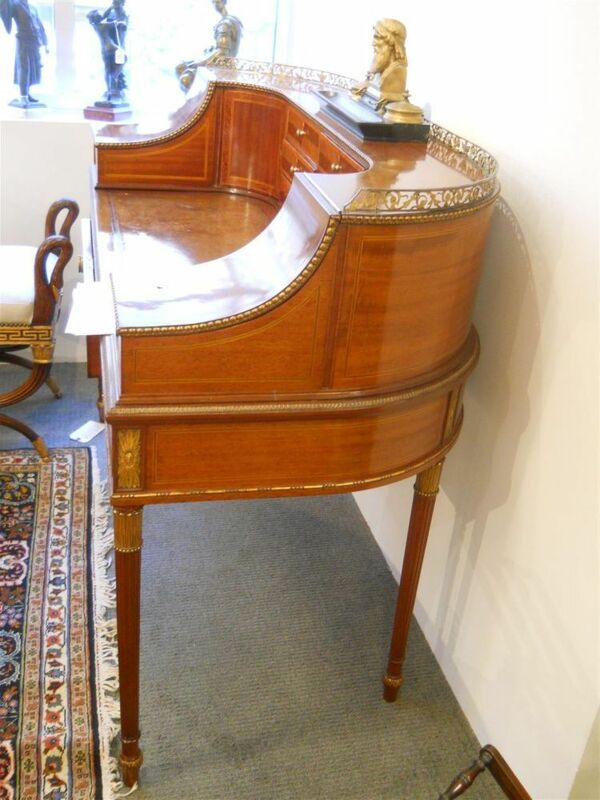 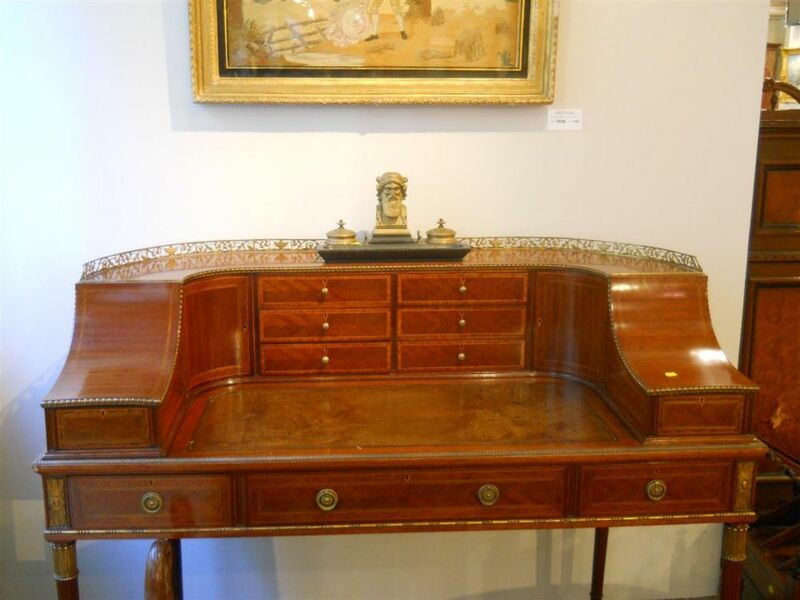 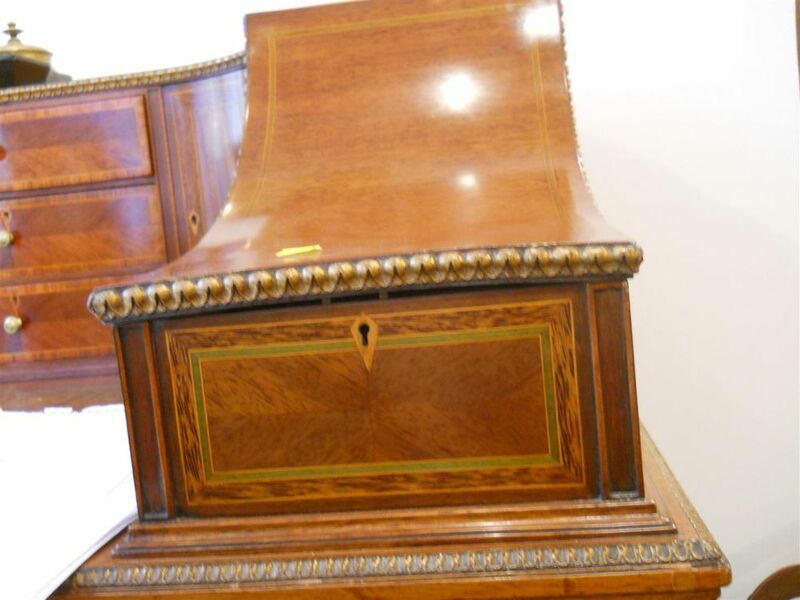 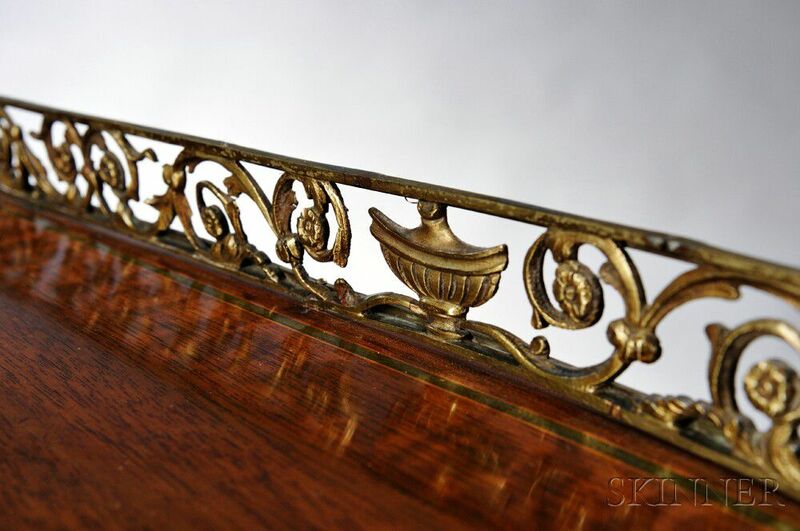 The main innovation of this design was that it influenced many cabinetmakers to make similar Carlton House desks finished on all four sides so that it could be floated in a room. 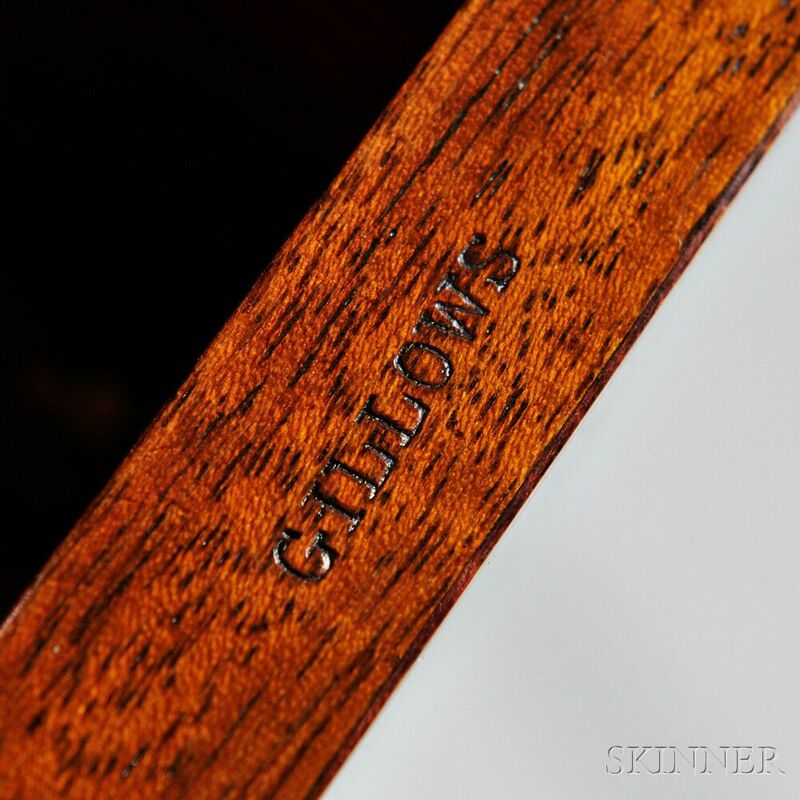 Founded in 1728 by Robert Gillow of Lancaster, England, the Gillows company grew to be successful in cabinetmaking for many decades, often providing pieces to royal households, until they found themselves in the midst of a very competitive furniture market of the late 19th century. 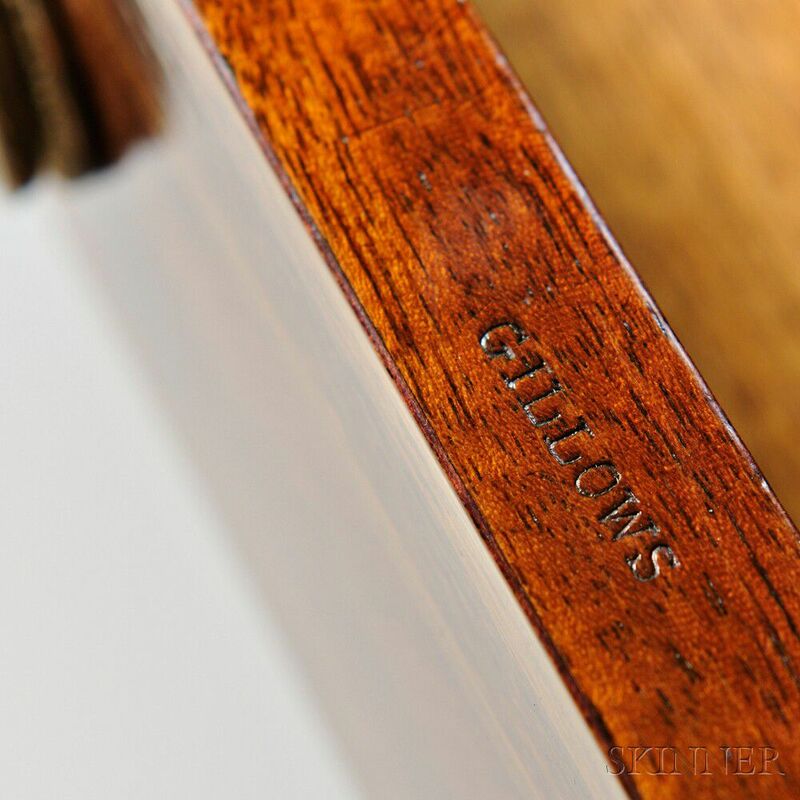 The Gillows company then established a partnership with Warings of Liverpool in 1897, and in 1903, were bought out by the firm, thus changing the name to Waring & Gillows. 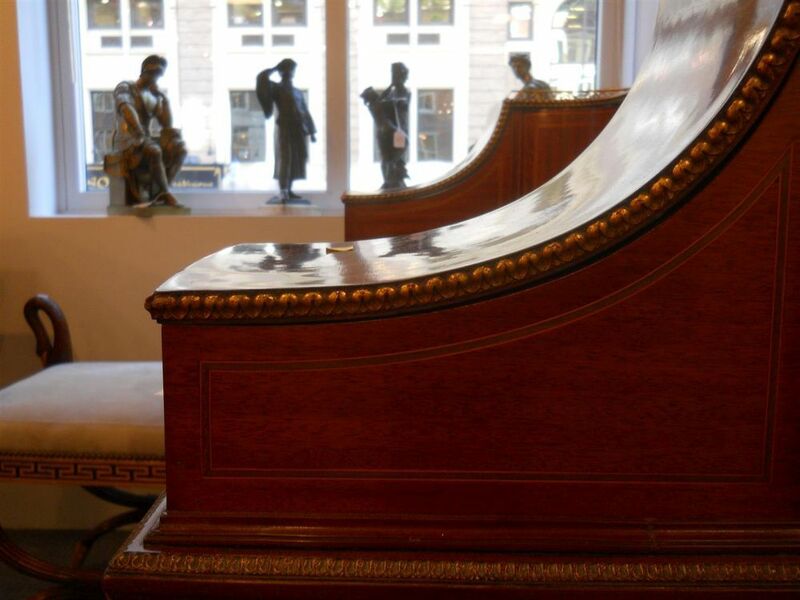 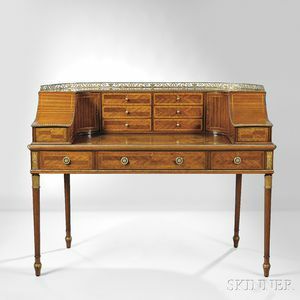 This desk bears resemblance to a Carlton House desk featured in Judith Miller's article on the Gillows firm published in the Telegraph UK, October 2013.